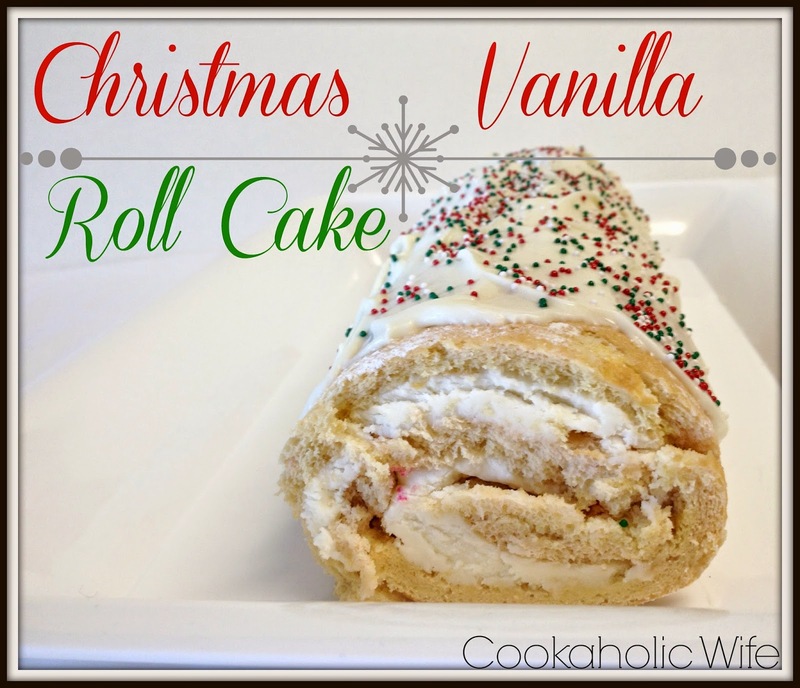 Four day into December and I’m sharing holiday baking recipes with you! This is impressive to me because I thought I would be so far behind this year. Actually, I have so many recipes planned that I’m not even going to be able to share all of them with you before Christmas gets here. Especially if I want to have another recipe round up. Although maybe this time I’ll have it just be for holiday sweets you could make. I sure have a ton of those posted already! 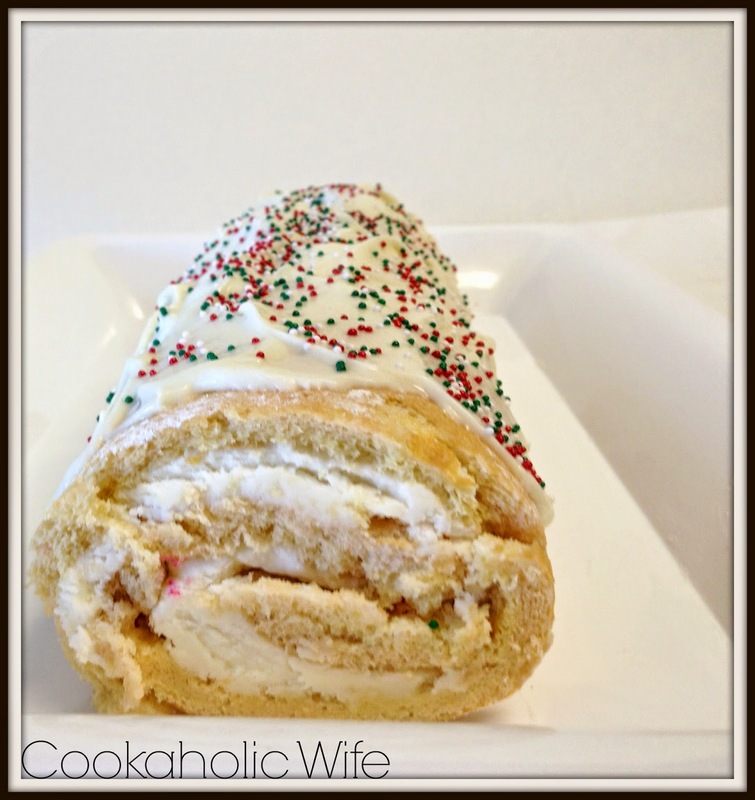 In my obsession to perfect a roll cake, I found this one smiling at me while I was browsing on Pinterest. I took a quick look at the ingredients and found that I had everything on hand. With some time to spare (haha, yeah right) I got right to work making this roll cake. As you can see, I still haven’t perfected the roll part entirely. I should have just cheated and cut off the end of the cake so you wouldn’t see the dilapidated ends of my cake, but I felt it better to share a realistic version with you. 1. Preheat the oven to 450. 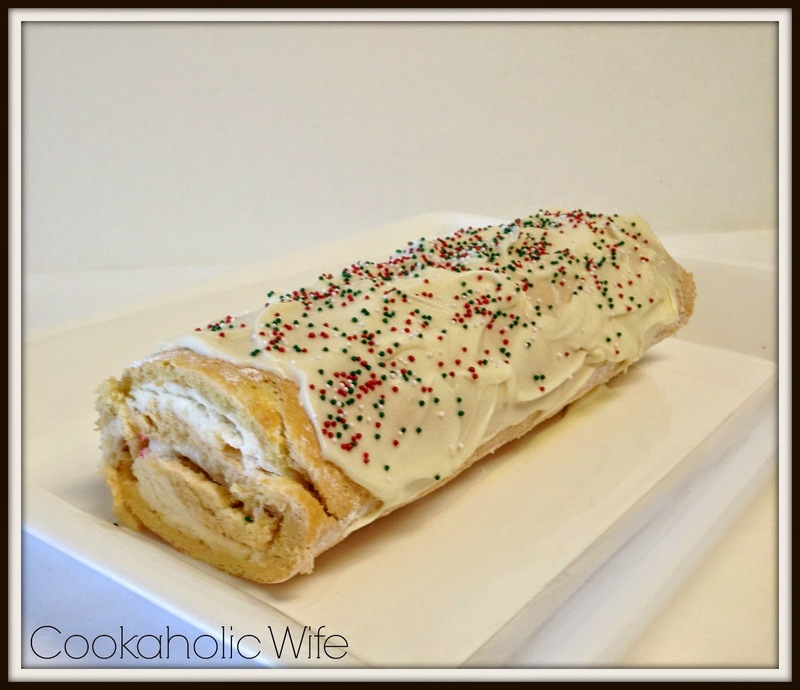 Line a jelly roll pan with parchment paper. 2. In the bowl of your stand mixer, add the 2 eggs, 3 egg yolks and sugar. Beat on medium-high speed until pale and thickened, around 5 minutes. Add the vanilla extract and beat until combined. 3. Sift the flour and cornstarch over the mixture and use a spatula to gently fold in. 4. In a separate bowl, combine egg whites and sugar and beat with a hand mixer/stand mixer until stiff peaks form. Gently fold into the egg yolk mixture. 5. Pour the cake batter onto the prepared jelly roll pan, using a spatula to spread the batter evenly to the edges. 6. Bake for 6-7 minutes or until lightly golden brown and springs back to the touch. 7. Remove from the oven and immediately sprinkle the cake with powdered sugar. Invert the cake onto a clean, cloth dish towel and quickly roll up, starting at the shorter end. Place on a wire rack to cool completely. 8. Prepare the buttercream by beating the butter on high speed with your mixer for 2-3 minutes. Lower the speed and add in the powdered cream 1/2 cup at a time until fully combined. Add in the vanilla. If the buttercream is too thick, add in heavy cream 1 tablespoon at a time until it reaches you desired consistency. 9. Unroll the cooled cake and spread the buttercream to the edges. Gently roll back up and top the cake with more buttercream. Decorate with sprinkles. Cover and refrigerate until ready to eat.